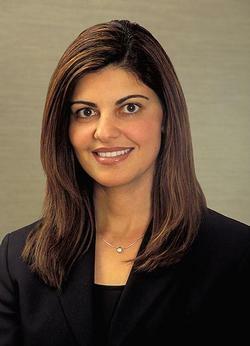 Dr. Roya Niakiani is a specialist in periodontics, with an emphasis on dental implants. After earning her D.M.D. 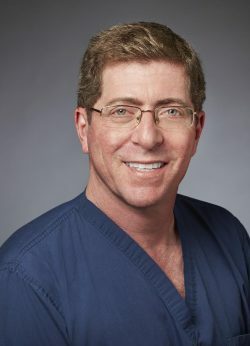 in 1994 and performing a residency at the Veterans Administration hospital in Loma Linda, Dr. Niakiani completed three years of postdoctoral periodontic studies at Tufts University School of Dental Medicine in Boston. There she gained extensive experience in guided tissue and bone regeneration, mucogingival periodontal plastic surgery, dental implants, osseous surgery and oral pathology. 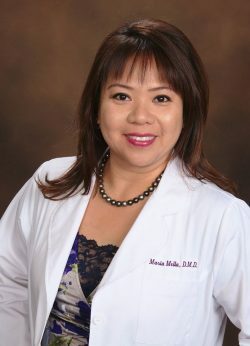 Before pursuing her education in dentistry and periodontics, Dr. Niakiani received a Bachelor of Science in biology and minor in psychology from the University of California, San Diego. Dental implants are replacement teeth that look, feel and function like natural teeth. If you are missing one or more teeth, dental implants can allow you to regain normal function and be able to confidently show off a nice smile once again. Forget everything you’ve heard about teeth straightening, because our team has been recognized as a top 1% Invisalign® provider, meaning that we are highly skilled in using the technology that lets you get the smile you always wanted without the hassle and pain of bands, brackets, or wires. If you are unhappy with the appearance of short, unsightly teeth, there are several procedures we can utilize to cover and/or protect unsightly, sensitive or exposed root surfaces and leave you with a more beautiful smile. Our dentists are uniquely trained and equipped with state-of-the-art technology to quickly examine and diagnose dental force abnormalities to reduce symptoms, including chronic headaches and migraines, temporomandibular joint (TMJ) pain, neck and jaw pain, earaches, tinnitus (ringing in the ears) and many others. What Can I Eat After Getting Dental Implants (Video)? What is the Difference Between Dental Implants and a Bridge?